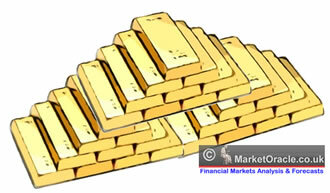 Has Gold Become The Worlds New Reserve Currency? For decades, the U.S. dollar has been the reserve currency of the world. This has given the United States an extraordinary amount of economic power, but as the U.S. economy has started to come apart over the past decade, other nations have increasingly sought to move away from the U.S. dollar and find other alternatives. For a long time it was thought that the Euro would become the next great reserve currency of the world. However, the recent Greek debt crisis, along with massive financial instability in nations such as Portugal, Spain and Italy, has caused investors to rapidly lose confidence in the Euro. In fact there are even some whispers that the Euro may not even survive the sovereign debt crisis as it sweeps across Europe. With both the U.S. dollar and the Euro looking shaky, investors have been searching somewhere safe to put their money. Increasingly, they have been turning to gold. So has gold now become a new reserve currency? Will all of this new demand drive the price of gold into unprecedented territory? Egon von Greyerz of Matterhorn Asset Management in Switzerland recently elaborated on this point. He says that "a lot of people who have studied it closely are convinced that there is a major shortage in physical gold at LBMA. LBMA trades around 700 tons net of gold daily. That is 25% of world annual production and around $6 trillion annually. To back that amount of trading on a 100% reserve ratio basis, it would need several year’s production of physical gold, which they definitively haven’t got."